MEET ZEKE!! 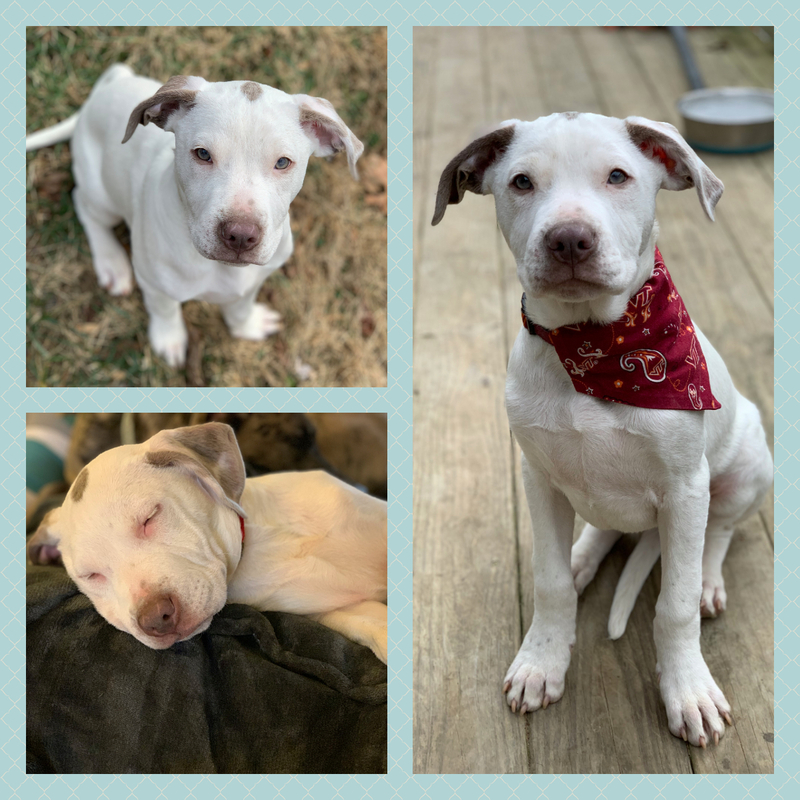 Zeke is a 5-month-old pit bull puppy. 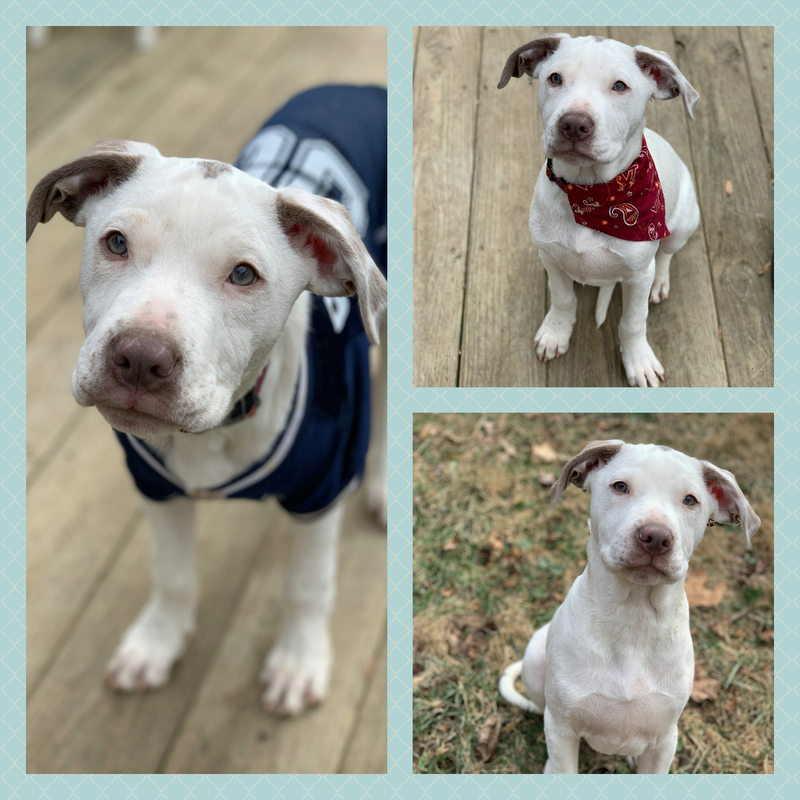 This little nugget has already learned how to pose for adorable photos (aka "sit"), and he is working on his crate and house training! He does great with his foster siblings and loves to play with toys! 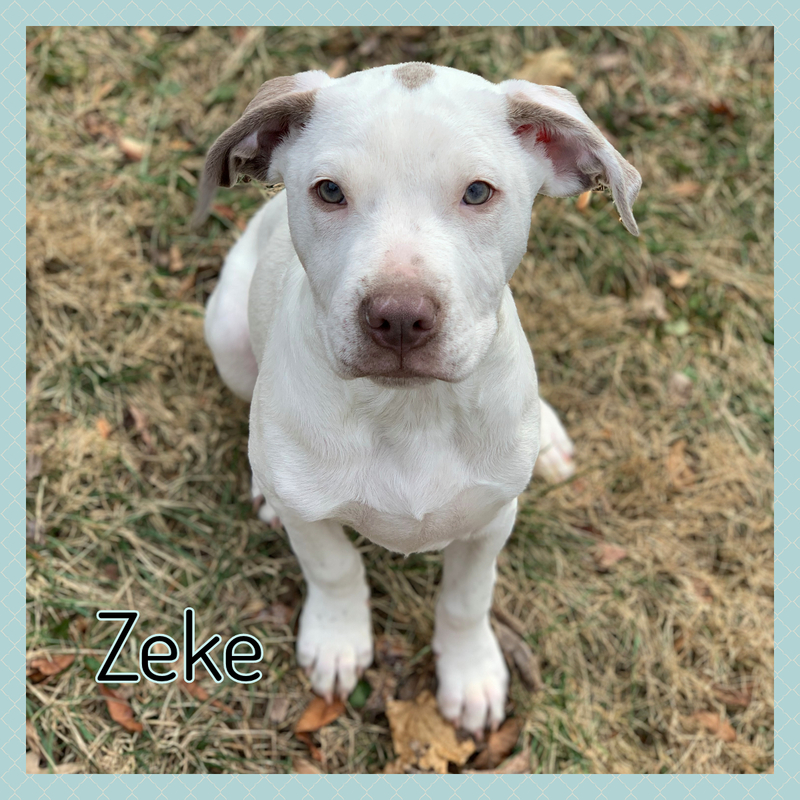 Zeke has not been around cats or small children, yet.